Located in the northern part of Taiwan Island, Keelung (Taipei) was called Jilong which means the rooster cage before 1875. Then its name was changed to Keelung later which means “rich and prosperous land”. 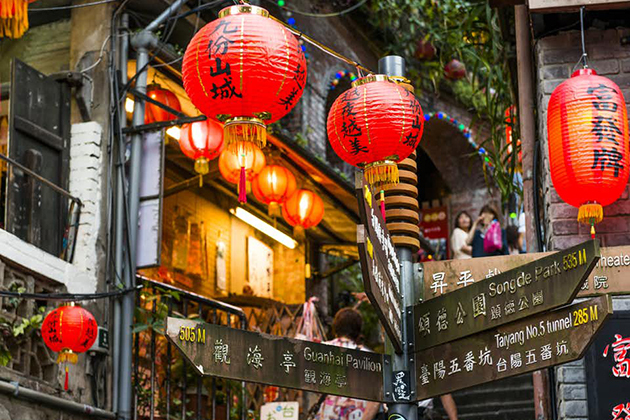 Taipei shore excursions from Keelung port have been growing rapidly since 1961 as one of the world’s most thriving and largest ports in the world in 1984. The city faces the ocean in an area of 132.7589 square kilometers of land with over 90% are hills and mountain. 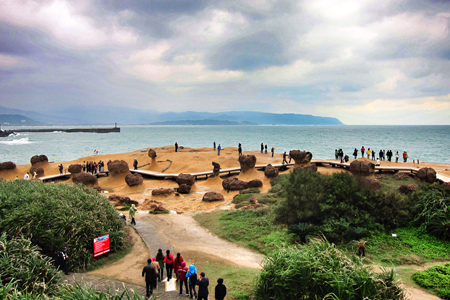 Keelung has advantages to develop the tourism industry as a large harbor in Asia. As a coastal city and a famous travel destination in Taiwan, Taipei day tours from Keelung port have a lot of things to offer. Asia Shore Excursions has tailor-made a wide range of choices for Taipei shore excursions, Taiwan which covers all the highlights of Keelung and Taipei. You can go through our recommended Taipei shore excursions. If you do not find any suitable Taipei day tours from Keelung port, please contact us and we will help you customize a unique Taipei shore excursion that exclusively for you. Our Taipei day tours are specially designed to depart from the port of Keelung (Taipei) and accommodate your shore excursions in Taiwan. Hi. Would like to follow up my request yesterday/17 Sept 2015. Will avail of this tour on 19 Nov 2105. Can you give us how much will this tour cost for 2 persons? Is there a pick up and drop off from/to hotel? Thank you for contacting us! Please check your email for detailed quotation of Taipei shore excursion. Kindly let us know if you have any other questions. We are a party of 6 adults on a cruise. We will visit Keelung on Oct 4 & 5. What are the costs of your excursions? Do you visit the Baoan(?)temple?. Thank you for letting us know about your traveling plan. The detailed quotation for Keelung-Taipei shore excursion has been sent to your email. Please have a look at it and let us know if you have any other enquiries. We are a group of 7 arriving Keelung port on April 20th at 7:00am and leaving at 6:00pm. Could you please let me know the cost of your private Taipei highlights day tour? Thank you for contacting us. The detailed quotation on Taipei shore excursion has been sent to your email. Kindly have a look at it and let me know if you have any other questions. Hello, we arrive at Marth, 17th 2017 with a Cruise Ship. How much is the tour “Taipeh Highliths – 1 day” for 2 Pax with a infant of 1 /12 year? Thank you for letting us know your travel plan. 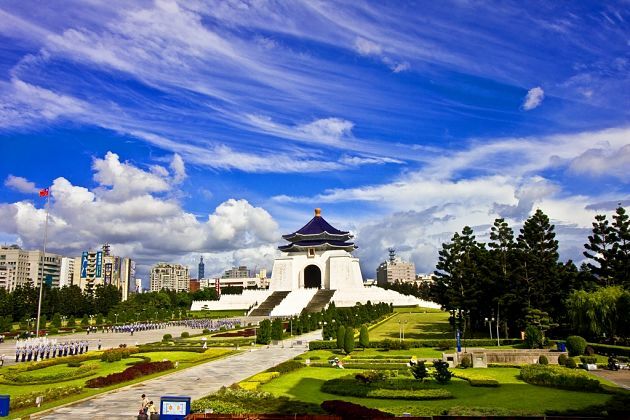 The detailed quotation of this Taipei shore excursion has been sent to your email address. Please check it and let me know if you have any other enquiries. Hi. We are interested in this 1 day tour. We arrive in Keelung with a cruiseship on January 30th – what is the price and pick-up time and when are we back to the ship? We are two adults. Thanks for your request, we have dropped you the detailed quotation of Taipei shore excursions as you request, please check your email. Hi We are a party of 5 people that will be arriving March 13, 2017 on Celebrity Cruises and would like inquire as to the cost of the Taipei Full Day tour? Thank you for letting us know your travel plan. The detailed quotation of the Taipei full-day shore trip has been sent to your email address. Please check it and let me know if you have any other enquiries. We arrive on 30/06/17, how much is the Taipei Highlights tour for 4 people? Thank you for reaching to us. Please check your email for detailed quotation on the Taipei Highlights shore trip. Feel free to ask us any question you may have. Thank you for your request. Please check your email for detailed quotation of Taipei shore excursion. Feel free to contact us should you have other enquiries. Good morning, would like to make some inquiries. We join the Star Virgo Cruise. My husband and I would be arriving in Keelung on March 28 – 12:00 nn and depart 9:00 pm. We would like to join the tour and how much is the tour? How do we go about it. Will be waiting for your reply. Thank you. Thank you for contacting us. The detailed quotation on Taipei shore excursions has been sent to your email. Kindly have a look at it and let me know if you have any other questions. Thanks for your request on Taipei – Keelung shore excursion, we have dropped you the detailed quotation, please check your email. Our party of 4 arrives in Keelung on Princess Cruise ship on April 25, 2018 from 7 a.m to 6 p.m. What is the cost of this tour? Thank you. Thank you for your request. The detailed quotation of this Taipei shore excursion has been sent to your email for perusal. Please let us know if you have any further enquiries. Hi! we are a party of 7 or 8 arriving at Keelong via the Star Cruise Virgo on March 13, 2018. 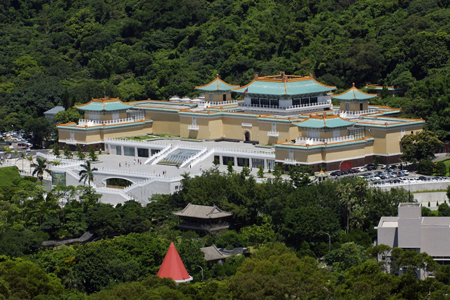 Could you please send us a proposal for a tour to Taipei which includes the 101, lunch, National Palace. Thank you for your request. You can have a look at our available tours on the website, or tailor-make a private tour. Please check your email for more details of Taipei shore excursions and let me know if you have any other questions. Hi. We’ll be arriving at Keelung port on May 27,2018. We are 5 adults with 2 kids aged 4 & 5. What’s the best itinerary for us and how much will it cost? You can have a look at the available tours that we have created before on the website, or tailor-make a tour including some attractions you want to visit. Please check your email for more information. Hope you enjoy the shore trip. I am interested in the Taipei Highlights Tour (TST01). We are 2 adults cruising on Diamond Princess and will be arriving in Keelung on July 6th, 2019 – ship arrives at 7:00am and departs at 5:00pm. Could you please let me know the price for 2 adults? Thank you for sharing your traveling plan. For the detailed quotation on this Taipei shore excursion, please check your email. If you still have any other question, feel free to ask us. Being considered as a global city, Taipei is the political, economic, educational, and cultural center of Taiwan. You will be surprised by a variety range of things you can do in this city. Do you want to experience what the home of world-famous cultural landmarks look like? 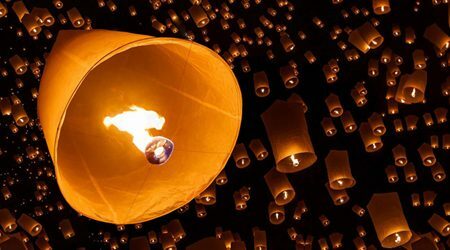 Do you want to know the culture of a little city which is the result of the mix between Chinese culture with a curious fusion of Japanese, Southeast Asian and American influences? Do you want to visit one of the major hubs in East Asia where has several bustling night markets? And many other things you can experience all by yourself! 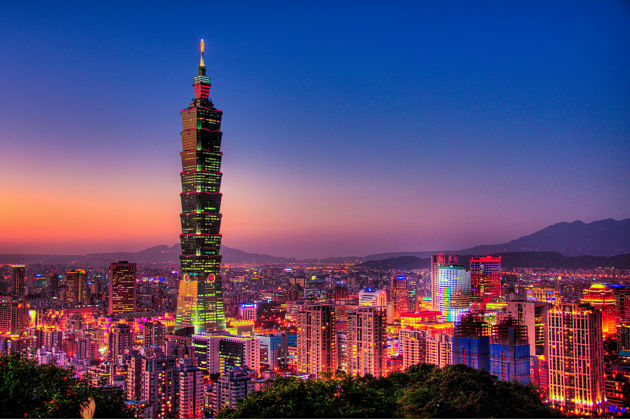 In your Asia shore excursions, you will not want to miss the Taipei day tours which bring you to the must-visit city in Taiwan. Some top should-do activities will be listed below as the suggestions for tourists to tailor-make their own Taipei day tours or to choose the most suitable Taipei shore excursions from Keelung port to follow your own interest. 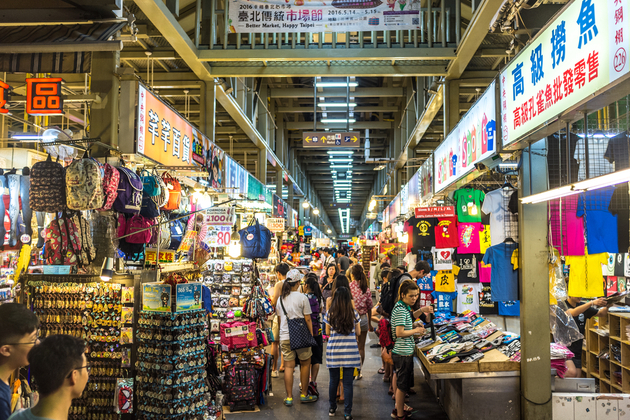 Your Taipei day tours from Keelung port will not fulfill without going shopping in the Shilin – the island’s most famous night market. It is the shopping heaven for bargain hunters! You almost can find everything here from souvenirs to shoes to bags to clothes. Going here not only offer you a cheaper price than in shopping malls, of course, and it will be even cheaper if you are excellent at bargaining. Moreover, it will be much more fun and more exalted when you become a part of it. 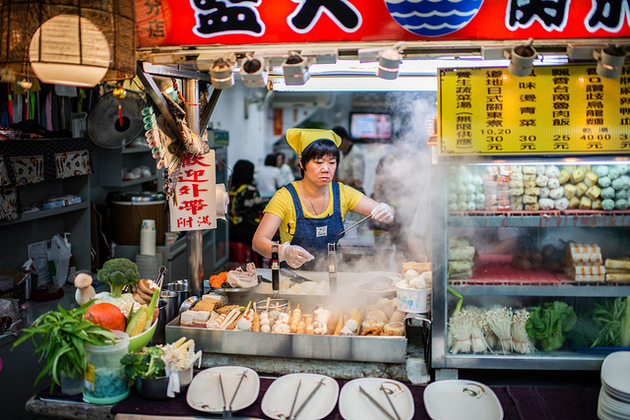 As mentioned above, Taipei’s culture is influenced by several cultures which can be recognized in Taipei’s cuisine especially from China which can be found easily on the side of the street. So, just need to visit a small city, you will have the chance to try various traditional and incredible cuisine from different cultures. Taipei shore excursions are suggested that you should try the food on the side of the street rather than in the restaurants because some of the tastiest and the most authentic food can only be found out there. 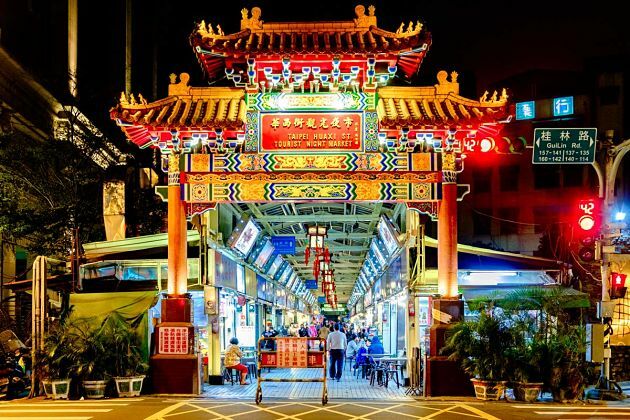 You just need to simply walk down any street or if you do not want anything but fill in your stomach the local night market is a better choice for you. From infamous stinky tofu, pig’s blood cake to fried chicken on a stick, a pancake stuffed with beef, you will definitely lose yourself in these cuisines. After trying all the food in the Taipei shore excursions, you will want to lengthen your time in the Taipei day tours from Keelung port if food is always your priority; there are a wide range of specialty cuisines in other regions as well that you may interest. If you think that it is too easy to get food, you want to challenge yourself, the indoor shrimp fishing is certainly the thing you are looking for. Transforming food into the sport, indoor shrimp fishing is a popular form of entertainment in Taiwan. You can practice your patience as well while painful waiting for your next meal. But you will feel that dish is the most delicious one that you ever have eaten because it is your achievement that you have tried for so long to get it. If you want to try a brand new experience and enjoy the shrimps, remember to add it in your Taipei shore excursions. 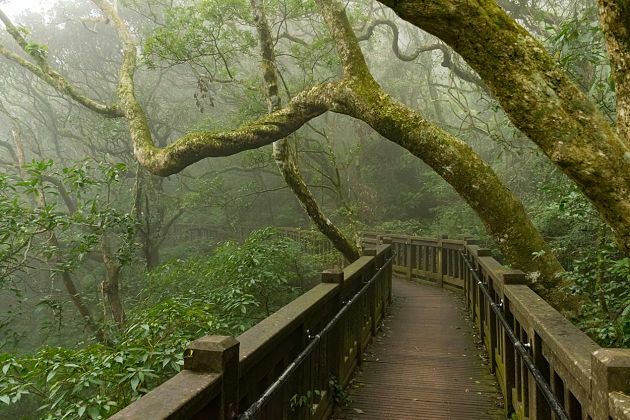 Being located in northern Taipei City, Yangmingshan National Park is one of Taiwan’s most beautiful parks. 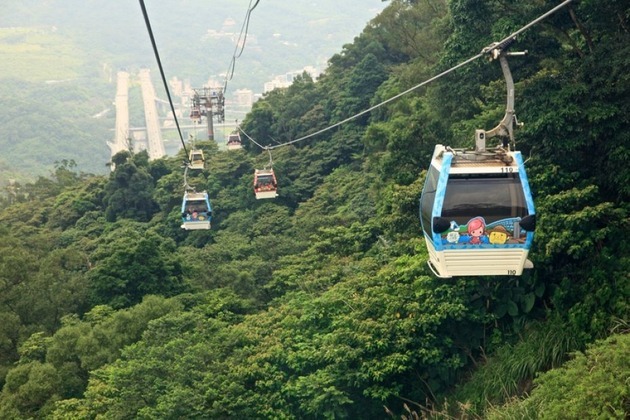 Thanks to modern transportation in Taipei shore excursions, you just need to quickly take the MRT to Beitou and then one local bus to the park is enough. Not taking a long time but you can immerse yourself in the fresh air of nature, hike to the top of the mountain not only to do exercises but to slowly lose yourself in the panoramic views of the city also. What a great deal! It will be even more extraordinary if you can observe the sunrise and sunset to see how majesty nature is especially when you have to hike through a long way to gain it. It is assuredly a worth-place to come in your Taipei day tours from Keelung port principally for those sport-lovers. Being a small village in New Taipei City, Wulai is a must-go place that you do not want to remove it in your Taipei shore excursions. It is such a worthy trip to visit this peaceful village to dig yourself into the spring water baths. 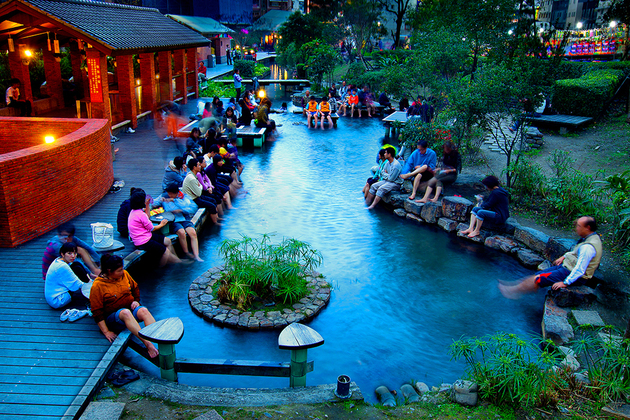 Besides the hot springs in many hotels that visitors can relax in privacy, there is also a public one which is located on the riverside for those who want to immerse yourself in nature. Moreover, tourists can also walk along the Wulai Old Street to enjoy the various local cuisine, to visit a wonderful waterfall as well as to buy some handicrafts and souvenirs. Coming to the home of world-famous architectural landscapes, you’d better do not miss the most famous temple in Taiwan in your Taipei day tours from Keelung port – the Longshan Temple. After the Taikohu Air Raid – the largest allied air raid on this city, the temple was badly damaged by American bombers during the WWII. 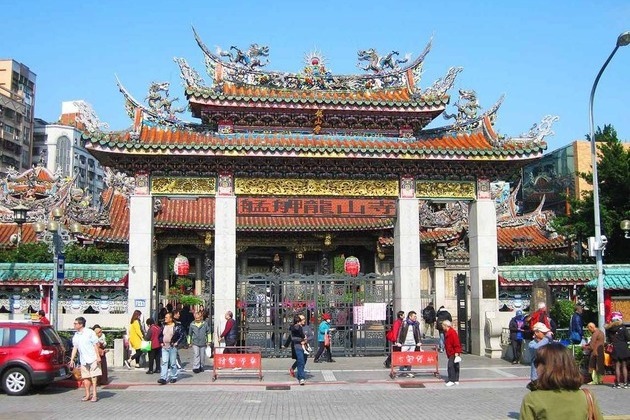 Luckily, the temple has been rebuilt and maintained by Taipei residents through several natural disasters and wars. Truly being the icon of Taiwan, the Longshan temple is an ideal destination for tourists from Taipei shore excursions to explore a mixture worship house of Buddhist, Taoist, and deities. 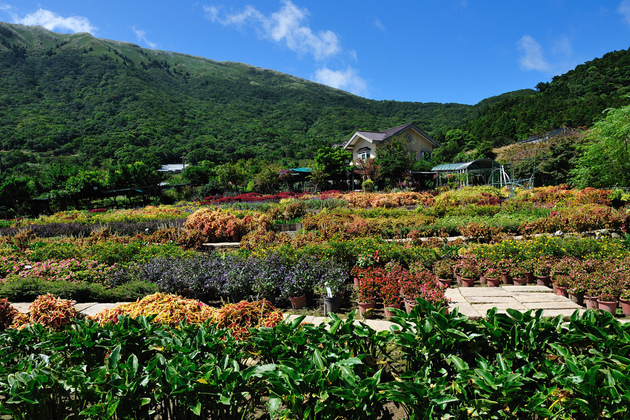 A must-visit place for tea lovers when they travel in Taiwan shore excursions is Maokong – a tea-growing peaceful village at the top of a mountain. Drinking quality, locally grown tea, enjoying the breathtaking views of Taipei city, what you need more on your Taipei day tours to escape from the exuberant noisy city? 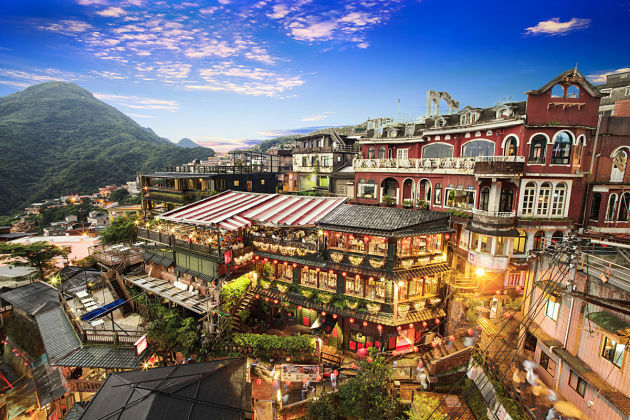 Just easily take an MRT to Taipei zoo and ride a cable car up to the mountain to this quaint village then all the fresh and peaceful atmosphere is totally your. In the daytime the view in here is that marvelous, can you imagine how you completely become speechless in the impressive sunset? No words and photos can exactly express that breathtaking moment, only experience it by yourself that you can understand it thoroughly! If you are planning a Taipei day tour, nothing you need to pay much attention more than the weather. Taipei doesn’t have four seasons with the specific temperature same as many regions in European and North American. 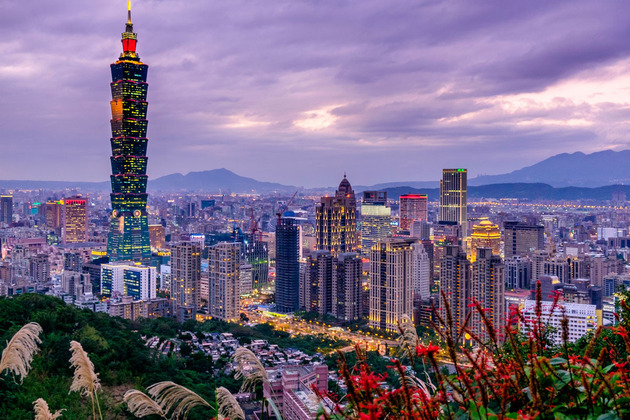 To prepare for excellent Taipei shore excursions, we just outlined all the information you’ll need about the weather in Taipei, Taiwan and also the best time to visit this city. Of course, having a difference by far between admiring the city in the rain through your hotel room window, or hit the streets and enjoy all the best of Taipei. Taiwan is a small island that the weather in each city is also same as the weather in all the country. Taipei has the sub-tropical climate with the more mutation in temperature than Southern Taiwan. The weather in Taipei day tours from Keelung port is even much more similar with Hong Kong and Macau nearby which the temperatures are just hot and hotter. In most time of the year, visitors can feel the pleasantly mild or unpleasantly hot and sticky. However, the temperature isn’t the most have-to-notice problem in Taipei shore excursions but the rain. Throughout the year, the rainfall dominates Taipei, if you visit the city in the right (it’s really not right) season, some nasty typhoons can visit leading to heavy flooding and dirt roads. Hopping on Taipei shore excursions in spring, the warm temperature welcomes you ranging from 18°C to 24°C (64 - 75°F) which is hotter during daytime and cooler at night. Step out of wintertime, rain starts to visit the city to prepare for the wet season coming by the end of May. 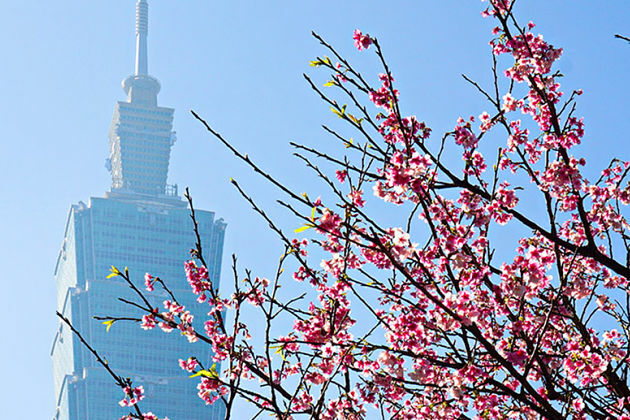 What to wear in Taipei day tours during spring: The beginning of spring let you wear a light jacket or sweater to keep you warm enough to enjoy a sightseeing tour. When the month comes to May, T-shirt with layers is recommended with a small umbrella or lightweight raincoat in your backpack. The summertime in Taipei shore excursions is covered with hot temperature and humidity. The average temperatures are 27°C - 30°C (81°F - 86°F) with the peak in July that some days, the hydro-meteorological staffs record the temperature of over 36°C. Getting wet is unavoidable in Taipei that the rainfall usually ranges from 160mm to 230mm. Even though the heavy rainfall can cause many disadvantages on traveling, from June to August is the high season of Taipei tourism. Note that you should book an accommodation before you go, finding a good place with reasonable price in Taipei is not easy during these days. What to wear in Taipei day tours during summer: An umbrella or raincoat is the thing that has to be in your backpack everywhere you go in Taipei. Waterproof clothing is also a good idea, but the heat does not make it simple like that. A walking around the city can be best comfortable in shorts and T-shirts. A hat and a bottle of water are needed to avoid the heavy sunshine. After two seasons facing with the extreme heat, visitors finally can get respite from the high temperature and humidity. The average temperature runs from 21°C to 27°C (70°F to 81°F). Although the summer passed by, September is still the rainiest month you can catch in Taipei shore excursions as the sign of a splendor ending of the wet season. The rest of autumn meets less rain and mild temperature. However, the time from October becomes out of the peak time of tourism that is easier to find a good accommodation in Taipei day tours. What to wear in Taipei shore excursions during autumn: The temperature is cool but not cold that light clothing is best suited with the autumn of Taipei. If you are not those who love breezes, a light sweater or coat is the thing you need. Autumn is the ideal time for hiking the trails and other outdoor activities. The wet season completely left when winter comes with the driest and coolest months in Taipei shore excursions. During wintertime, average temperatures drop to 14°C - 20°C (57°F - 68°F). The driest month is December with the rainfall is only about 60mm. 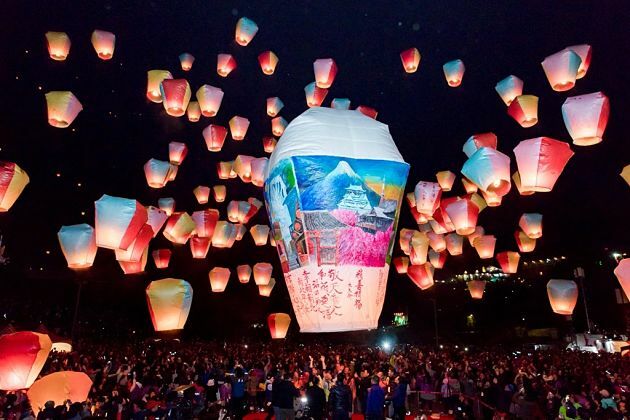 The peak time of tourism is during Chinese New Year usually running from late January to middle February. Booking accommodation as early as possible to make sure that they have enough rooms for you to stay. Overnight at dirty and lack of facilities places are the thing waiting for later ones. 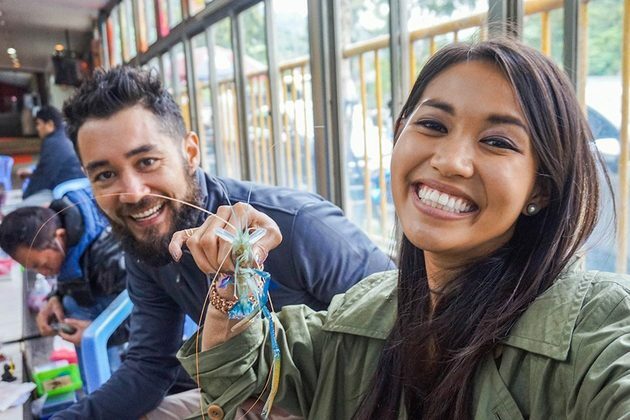 What to wear in Taipei day tours during winter: The cooler temperature makes you bring warmer clothing than other seasons, especially the temperature at night can drop dramatically that a coat is needed. A T-shirt with long sleeves and light coat outside is ideal for someone who loves fashion and keeps their health well at the same time.